Recovering from a suicide attempt is not easy, it takes time to heal both physically and emotionally. This site is here to help you begin to answer some of the questions about how to start down the path to recovery. Suicide can be a difficult topic, one that isn’t always talked about openly. While this site doesn’t have all of the answers, it is a starting point to let you know what others have experienced and found helpful after their suicide attempt. Remember this site is just a guide, if you are in crisis and need support right away, it is important to reach out to a support person or the National Suicide Prevention Lifeline – 1-800-273-TALK for assistance. 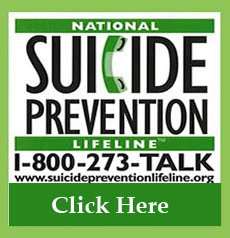 Suicidesurvivor.org is a privately owned and maintained website created by Shari Sinwelski, MS/EdS. Ms. Sinwelski has been working in the field of suicide prevention for nearly 20 years. She has worked with many suicide attempt survivors and her commitment to their recovery was the inspiration for this website. Her expertise in the field of suicide prevention includes directing suicide prevention hotlines, training thousands of individuals in suicide prevention and intervention skills and facilitating one of the nations’ first support groups for suicide attempt survivors. Ms. Sinwelski is a national certified counselor, a certified crisis worker through the American Association of Suicidology and an ASIST and safeTALK trainer with LivingWorks Education. She is a Phi Beta Kappa graduate of Florida State University, holding a Bachelor’s Degree in Psychology and a Master’s and Educational Specialist degree in Counseling and Human Systems. Ms. Sinwelski is available to conduct educational presentations and consultation on many topics related to suicide prevention and crisis intervention, including developing and sustaining support groups for suicide attempt survivors. For more information contact her. Please note, Ms. Sinwelski is not available for individual counseling through this website.